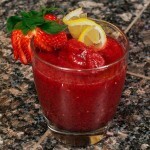 There is something about spicy food that makes me want to have a frozen cocktail. I think it is the combination of the smoky flavor as well as the heat. When I was making the steak tacos for the last post, this was certainly on my mind. I said to my daughter, “let’s come up with something;” and she said, “I don’t have a lot of ingredients for frozen drinks.” After rummaging in the cupboards, this is what we came up with. 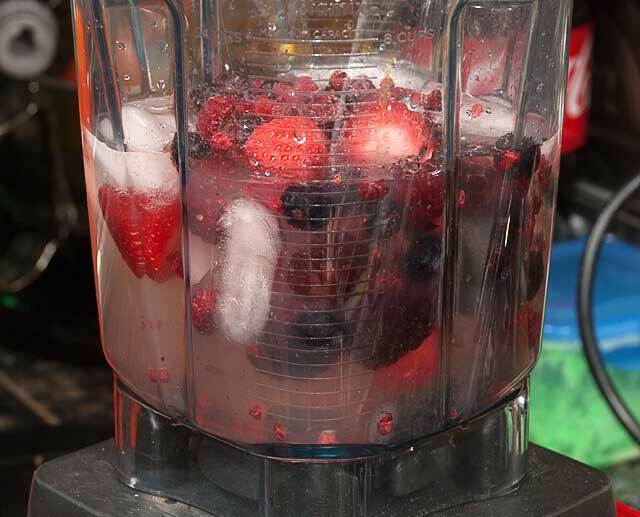 In a blender container, mix together the lemonade, frozen mixed fruit (we used strawberries, blackberries and raspberries), coconut rum and ice. 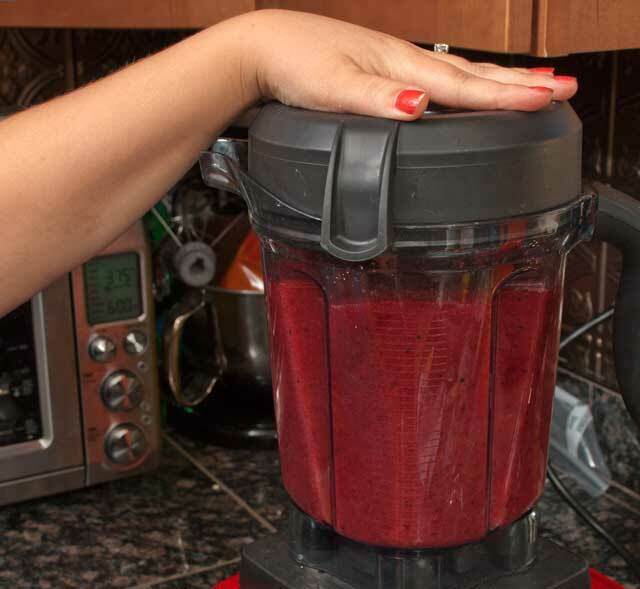 Blend to a smoothie consistency. 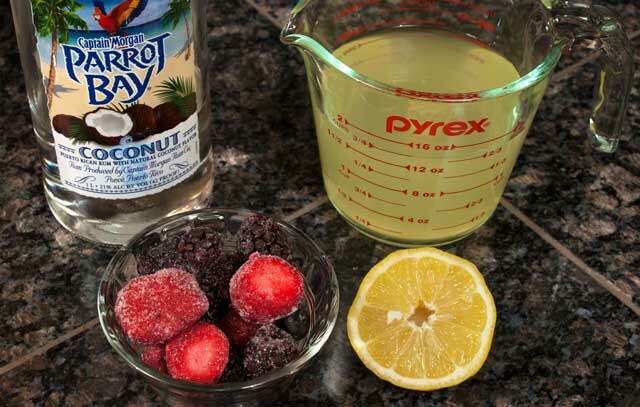 I think any frozen fruit combinations would work well. 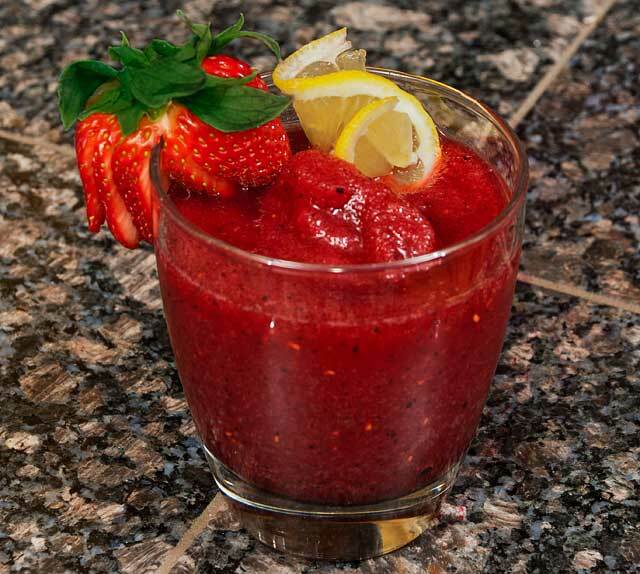 Pour into a glass, garnish with the fruit of your choice and enjoy!